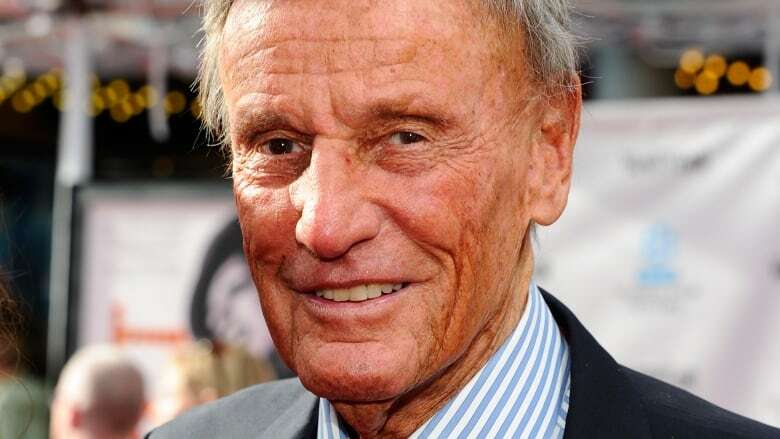 Richard Anderson, the tall, handsome actor best known for costarring simultaneously in the popular 1970s television shows The Six Million Dollar Man and The Bionic Woman, has died at age 91. Anderson died of natural causes on Thursday, family spokesman Jonathan Taylor told The Associated Press. The Six Million Dollar Man brought a new wave of supernatural heroes to television. Based on the novel Cyborg by Martin Caidin, it starred Lee Majors as U.S. astronaut Steve Austin, who is severely injured in a crash. The government saves his life by rebuilding his body with atom-powered artificial limbs and other parts, giving him superhuman strength, speed and other powers. Anderson played Oscar Goldman, Majors' boss at the secret government spy agency the astronaut went to work for after becoming a cyborg. "Richard became a dear and loyal friend, and I have never met a man like him," Majors said in a statement Thursday, adding the two first met when they filmed several episodes of another hit television show, the 1960s western The Big Valley. "I called him 'Old Money.' His always stylish attire, his class, calmness and knowledge never faltered in his 91 years," Majors said, adding Anderson was "still the sweet charming man" when they spoke just a few weeks ago. The Six Million Dollar Man began as a TV movie in 1973 and when it proved a hit it was turned into a weekly series the following year. Its popularity led to the 1976 spinoff show, The Bionic Woman, starring Lindsay Wagner. Anderson took on the Oscar Goldman role in that show, too, sometimes appearing from week to week in both series. "I can't begin to say how much I have always admired and have been grateful for the elegance and loving friendship I was blessed to have with Richard Anderson," Wagner said in a statement. In The Bionic Woman, Wagner was a tennis pro whose body was rebuilt after a near-fatal skydiving accident. After obtaining powers similar to those of The Six Million Dollar Man, she went to work for the same government agency run by Anderson's character. In real life, Majors recalled, it was Anderson who embraced tennis, travelling the world to play in tournaments. "He loved his daughters, tennis and his work as an actor," he said. Anderson, who stood 6-feet-4, began his career in 1949 with a small role as a wounded soldier in 12 O'Clock High. Soon after, his comedy scenes in a TV series called Lights, Camera, Action! drew the attention of MGM, which offered him a screen test and a contract. He had decided to try acting after watching Gary Cooper movies, and at the screen test he performed a scene from Cooper's The Cowboy and the Lady. At MGM he played secondary roles in such movies as The Magnificent Yankee, Across the Wide Missouri, Scaramouche, The Story of Three Loves, The Student Prince, Hit the Deck and Forbidden Planet. "When people ask me where I received my education, I tell them it was at MGM U," the Internet Movie Database quoted him as saying. "The biggest lessons that I learned is that acting is a talent. You can't teach it. And even if you have the talent, you have to get the part." When MGM began thinning out its contract list in the late 1950s, Anderson was let go. He went on to make movies for other studios, appearing in such films as Stanley Kubrick's Paths of Glory, The Long Hot Summer, Compulsion, The Wackiest Ship in the Navy, The Gathering of Eagles, Johnny Cool, Seven Days in May and Kitten With a Whip. Anderson was also a frequent guest on TV series and had regular roles on Bus Stop, Perry Mason, Dan August and The Fugitive. Other television credits included Slattery's People, Dr. Kildare, The Virginian, The Rifleman, Bonanza, Mannix and The Mod Squad. He also acted as producer when The Six Million Dollar Man and The Bionic Woman were revived in later years as TV movies. Richard Norman Anderson was born in Long Branch, New Jersey, on Aug. 8, 1926. He later moved to Los Angeles, where he began appearing in high school plays. After two years in the Army, he began studying at the Actors Laboratory in Los Angeles. Soon he was landing work in radio and summer stock productions. Anderson was married and divorced twice. His first wife, Carol Lee Ladd, was the daughter of actor Alan Ladd. His second wife, Katharine Thalberg, was the daughter of actress Norma Shearer and movie mogul Irvin Thalberg. The couple had three daughters. His daughters, Ashley Anderson, Brooke Anderson and Deva Anderson survive him. The family says memorial services will be private.